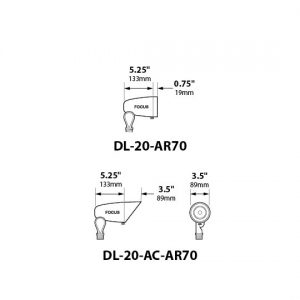 With a fully adjustable swivel, the AR70 Bullet Lights make versatile accent lighting for any area of landscape. Mount these fixtures in gardens or against walls for decorative nighttime illumination. 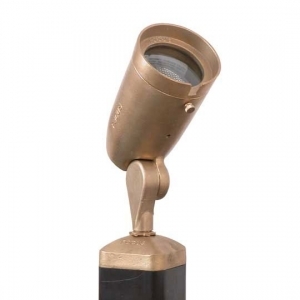 The heavy duty aluminum or brass protects the AR70 lamp from weather elements and wet conditions. 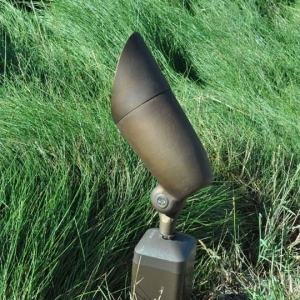 The bullet light uses a low-wattage LED to spotlight signs, highlight greenery, or accent a brick facade. Talk to our lighting experts for more information on landscape lighting.